We hope everyone has a great summer. Thank you to everyone who has donated to allow for this year's scholarship. Congratulations to Addie Lee Frierson and Marlan Adams for winning the Jon Desso Scholarship for the 2016-2017 school year! We have also already awarded Addie Lee Frierson and Kathryn Anne Frierson for the 2017-2018 school year! Click the Scholarship Recipients link above to see pictures from PACS Honors Day on May 4, 2017. You can now donate online - one at a time or setup a recurring donation! Just use the button above or click on the 'How to Give' link in the navigation bar and follow the directions there. 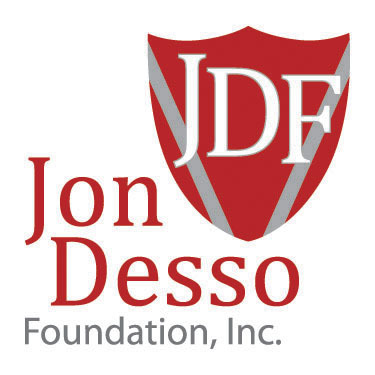 The Jon Desso Foundation was established by a group of Jon's best friends with the goal in mind of honoring the memory of our dear friend, Jon Desso, while at the same time, bringing glory to the Lord. By awarding scholarships for students to attend Prince Avenue Christian School, we feel that we are able to minister to the lives of others in that way. PACS was a big part of all of our lives, and it is what brought this group of friends together and what has kept us together over the years. PACS and Jon are the common bond that we all have. We want to be able to give this same friendship and bond to other students in hopes that they will be able to have a friend as good as Jon was to all of us at the school that brought us all together.